In the heart of Durban's Southern Promenade, you will find Coastlands Holiday Apartments and Convention Centre situated in a large tower block. Coastlands Durban Self Catering apartments consists of mainly two bed bachelor flats, fully equipped for one to four persons, with a private bathroom and toilet, serviced each day except on Sundays and Public Holidays. We provide all bed linen and towels. Each apartment has a 24-hour telephone service and television. Coastlands Durban also offers a conference centre which can accommodate up to 850 delegates in a variety of conference rooms with multi - variable seating and standard conference equipment. Function and Wedding packages are available on request. We have access facilities for disabled persons. Menus are tailored to suit your requirements. You can enjoy sea view and city view from the room. Extras include a safety deposit box, a laptop safe . At Coastlands Durban Self Catering Holiday Apartments you will find a 24-hour front desk. Other facilities offered at the property include luggage storage and shops (on site). The hotel is 300 metres from Marine Parade, 800 metres from ICC Durban and 1.5 km from uShaka Marine World. King Shaka International Airport is 28 km away. Safe and secure parking is available on our premises, with ample undercover parking bays. Also, several conference and event venues are available and our experienced banqueting team will assist you in planning your next conference, function or wedding. Our dedicated staff offer a superior service to ensure that guests have a pleasant and memorable stay while visiting our beautiful province. 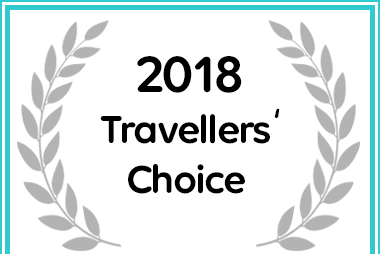 Coastlands Durban Holiday Apartments & Convention centre received a 2018 Travellers' Choice Award for Self Catering Accommodation.